He says t the commission’s composition is “too loaded” with lawyers. described. “I think it is important that the commission involved someone from the security sector at the very least. And also, a social or political scientist whose research or output are grounded in the politics of Ghana, political economy of the country and political culture of Ghana,” he said. This, the former boss of CDD, says, poses the danger of shifting the commission’s focus narrowly into the legal and constitutional realm. Prof Gyimah-Boadi say the commission will need an f extension of the one-month to be able to execute the task effectively. He also called on the commission to embrace what he described as “the sunshine of transparency”, by holding their hearings in public and presenting their report to the public and the government at the same time. “There is a window even in the existing terms of reference even as narrow as it is for them to broaden out. But for that to happen, I would recommend one modification, which is that the duration given them is to too short. “One month is way too little for doing a thorough on a matter as complex as this one,” he said advocating the commission be given either three or six months. 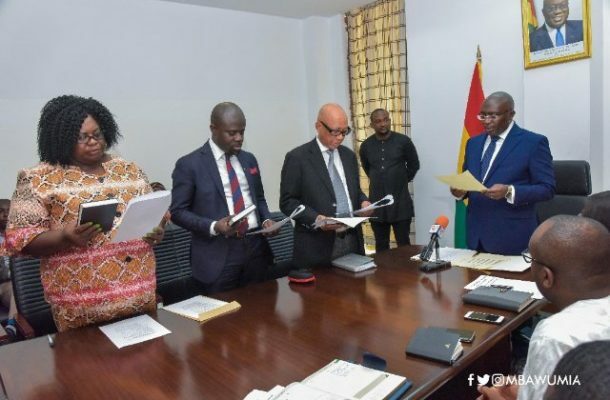 The commission, established by the Vice President on Friday is to probe the shootings that occurred during the Ayawaso-West Wuogon by-election on January 31. It is chaired by former CHRAJ boss, Justice Emile Short and has renowned law lecturer, Prof. Henrietta Bonsu as well as Patrick Acheampong as its members. Kofi Abotsi Of Ghana Institute of Management and Public Administration (GIMPA) Law School is serving as its secretary. Meanwhile, the commission started it work on Monday, February 11, to draw up how they will approach their task and the modalities that will govern the way they will work. “The essence of today was to put together working documents, methodology, agree on the frame of work that we have, deal with issues of evidence, possible issue of witnesses and to set in place and motion, an operational strategy,” Kofi Abotsi told Joy News.